What is the Honey Allroads bike? Why is the Honey Allroads bike the ideal adventure bike? This bike is not only light weight, but its more relaxed geometry makes this bike extra comfortable and easy to handle any number of spontaneous ride scenarios. Tire Options: Want room for fat tires? No problem. The Allroads has room for big tires – up to 45mm. Wheel Options: This bike also offers the option of 700c or 650c wheel size. Brake System Options: The Honey Allroads is designed for either standard or low mount disk brakes giving you excellent braking control is all conditions. The bike's default option is for standard seat stay disk mounts. Steel: For a more classic and rugged design. Works well with full-time fenders. Carbon: For lightweight and precise handling. Not optimal for fender use. With its stable front end, standard trail, low bottom bracket, and long wheel base the Allroads makes for a great all-day rider. 54.5 cm top tube Allroads: 18 lbs. 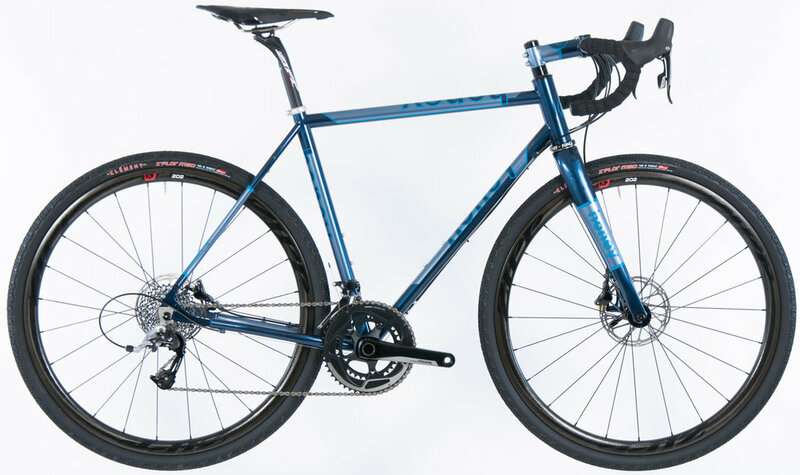 14 ounces - for an Allroads with the recommended SRAM Force parts package. This is a really great weight for a disc brake mixed-terrain machine that can handle all conditions of riding. Weights subject to change as component packages evolve.